Creative today launched the tiny Creative MuVo T100 digital music player. There's no need for cables as the Creative MuVo T100 plugs straight into your computer just like a USB flash drive. It supports MP3, WMA, WAV and Audible formats, and there's a bass boost button for beefing up your listening experience. Content can be accessed and organised by simply dragging-and-dropping. Two models are available. The 2GB version can store up to 1,000 songs, while the 4GB version has room for 2,000 songs. Both can squeeze around 10 hours' playtime from the rechargeable battery, which takes about an hour to charge up fully. 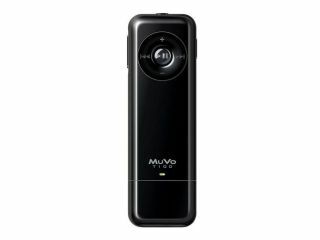 The Creative MuVo T100 comes in black, white or vibrant pink, and will go on sale later this week. Pricing has yet to be confirmed.